Want a replenishing conditioner with natural ingredients that leaves hair soft, nourished, healthy-looking and easy to style? All products in the McArthur Skincare range use natural ingredients. 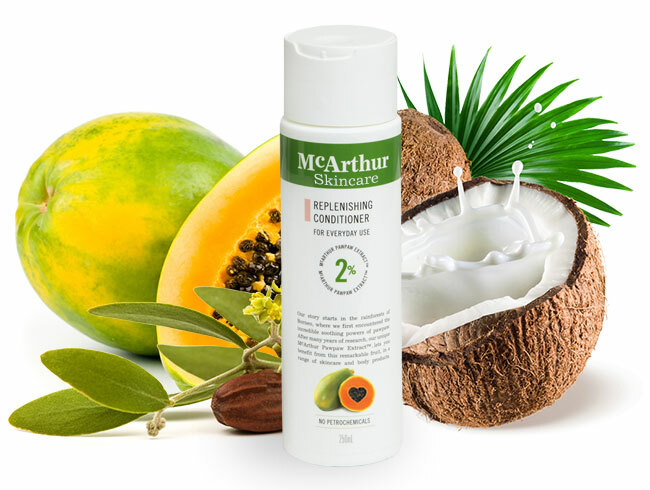 It is advised to keep McArthur Skincare's Replenishing Conditioner stored at a temperature below 30° Celsius. 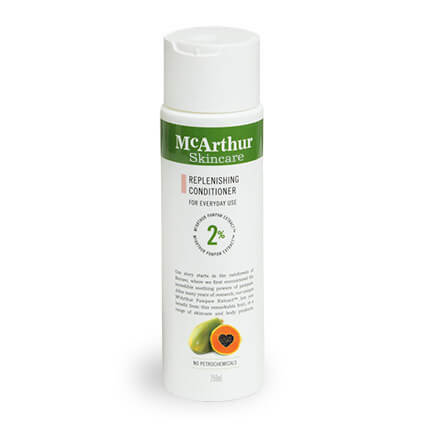 After using McArthur Skincare's Replenishing Shampoo, massage a small amount of McArthur Skincare's Replenishing Conditioner into wet hair and leave on for 1-3 minutes.